Have you ever wished you could go back in time with all the knowledge you have now and do things a little differently? For Michelle Preston Richardson that wish, whether she wanted it or not, came true. In The Journey by John A. Heldt, Michelle finds herself transported back to 1979 and coming face to face with her younger self at a life defining moment - senior year of high school. What follows is a sweet story of self-discovery for both Michelle and Shelly. For Michelle, it is about creating a new life for her 49 year old widowed self along with a slightly new identity in 1979. Part of that new life is righting the "wrongs" she had lived through, which set many on a different path. In Heldt's first novel in this thematic series, The Mine, the main character was careful not to alter the past any more than his mere presence already had. Michelle is not concerned, though she does question what might result, and actually is intent on making changes. What would you do if you found yourself thrust into the past and not sure you could ever return to your time? Answering that question is part of the fun of reading Northwest Passages. Heldt's characters are realistically crafted and ordinary enough that readers can put themselves in the character's shoes. And for readers who are a bit of a history buff, there are interesting historical facts sprinkled throughout. There is nothing over-the-top or super outstanding about The Journey, but it is a solid story providing great entertainment. 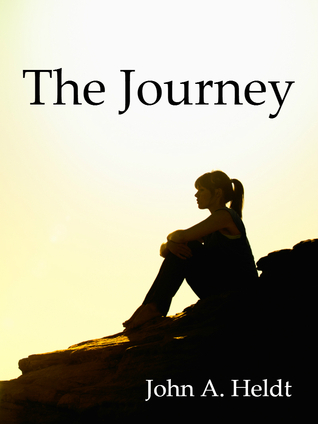 Spring Break is around the corner and if you are looking for entertaining reads, The Journey should be on your list.